Disciples are those who follow Jesus in this world. But what does this look like? At Kimball Memorial, we talk about and seek to practice the Marks of Discipleship. The marks of discipleship reflect six areas of life and how one lives out faith in Jesus Christ in that part of life. Living out these six areas of discipleship strengthens ones understanding of God’s love in one’s life and what one’s purpose is in life. 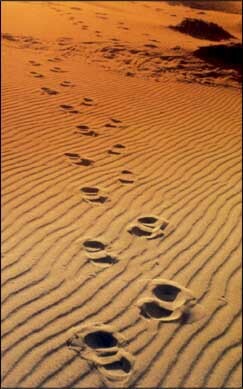 What are the Marks of Discipleship? Pray Daily - be in conversation with God and listen to God through prayer daily. Worship Weekly - attend worship to praise and adore God with other believers. Read/Study - spend time in the Bible and devotional books seeking to better know Christ and what God has to say for our lives. Serve - at or beyond Kimball Memorial. Using the gift God has given each of us, we set out to share our abilities and gifts for the sake of others. Relate - encourage others in the faith. Share life’s journey with other seeking to share how God is moving. Give - Share generously what God has so freely and wonderfully given you. Participants are encouraged to aim at a tithe (10% of income) or more. Followers of Jesus, disciples, are encouraged to practice their faith in everyday life. The Marks of Discipleship serve as a check list of how one’s faith practice is going and a guide to actively living the faith. Join us in living the Marks of Discipleship.